You cannot go wrong searching for Carnival cruises from Miami. This port is prolific with Caribbean cruise departures and Carnival offers many itineraries from this popular city. 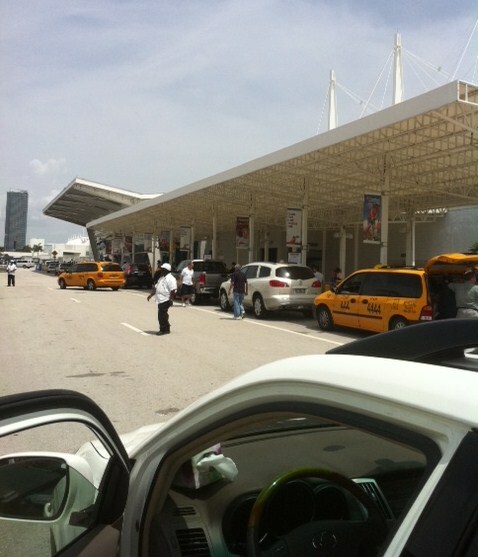 The Miami Cruise Port is said to be the busiest in the United States, with many cruise lines providing sailings to the eastern and western Caribbean, as well as the Bahamas and elsewhere. Carnival cruises from Miami include sailings to the Eastern Caribbean, Western Caribbean, Southern Caribbean and the Bahamas. 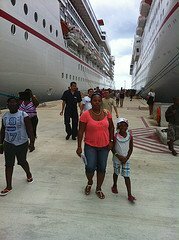 You can expect to visit such popular ports of call as Grand Cayman and Ocho Rios in the Western Caribbean. Your Carnival Eastern Caribbean cruise may include calls at St. Thomas, Puerto Rico, Turks & Caicos Islands, among others. You will also be lucky to find sailings to the Southern Caribbean, visiting such ports of call as Curacao and Aruba, Dutch Caribbean islands. Carnival cruises from Miami are so popular and prolific that you will find cruises year-round. Shorter cruise itineraries such as 4- or 5-days and longer ones such as 7- and even 8-day cruises from Miami. 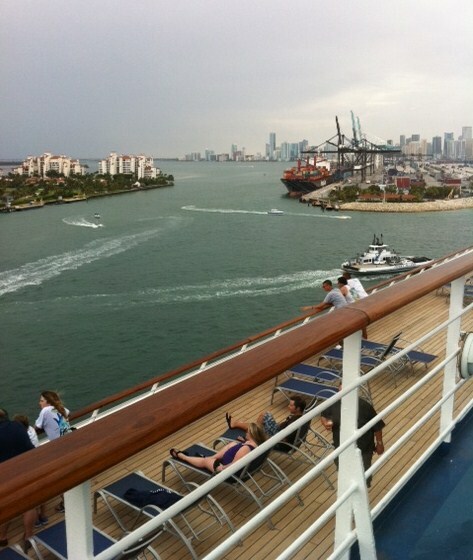 To ensure that you find a desired cruise itinerary, Carnival currently has several Fun Ships sailing from South Florida. These ships range in size from Carnival's smallest vessels to the largest ones. Carnival Glory, Carnival Sensation, Carnival Victory and Carnival Vista (newest ship). 1. Carnival Glory offers 7-day cruises to the Eastern and Western Caribbean. 1. Carnival Sensation offers 4-day and 5-day cruises to the Eastern and Western Caribbean with stops ports such as Grand Turk, Cozumel and Ocho Rios. 2. Victory offers 3-night cruises to the Bahamas. 3. Victory offers 4-night and 5-night cruises to Eastern and Western Caribbean with stops in Amber Cove, Cozumel and Key West. 1. Carnival Vista offers 6-night cruises to the Western Caribbean. Ports of call may include Ocho Rios, Grand Cayman and Cozumel. 2. Carnival Vista offers 8-night cruises to the Southern Caribbean, with stops in ports such as Grand Turk, Aruba and Curacao. Note: Itineraries listed above are subject to change, as the cruise line re-positions its ships. I have listed just some of Carnival's available itineraries from Miami. There are others. Check with your Travel Agent, and if you do not have one, we can help. Visit our Cruise Quote Request page and send us your desired sailing information. So, are you ready to take the family to some fun in the sun? I guarantee that you will have a blast of a vacation. 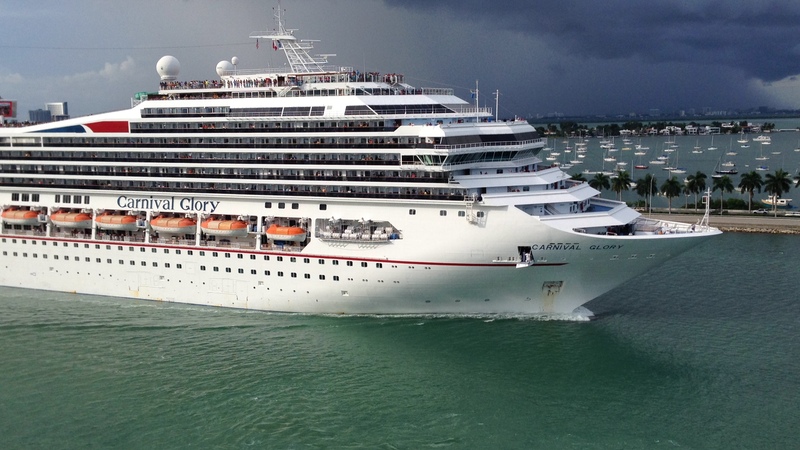 If Southern Florida is your choice of departure, you are certain to find several exciting Carnival cruises from Miami.